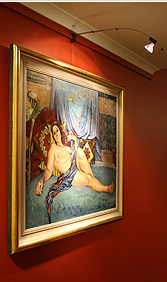 When displaying art it is extremely important to incorporate the correct lighting – art lighting can now be installed much easier. Our track lighting systems for art offer an entirely new way to light art for picture hanging. Low voltage light wands lock onto the same track that hangs your art. Like the hanging systems they can be easily moved to any position on the track. Just lock them on and they light up your picture. Because our system places the lamps close to the art, lighting is much more effective. Our lighting system only uses either 20 watt diachroic lamps or 10 watt LED lamps for an even bigger energy savings. 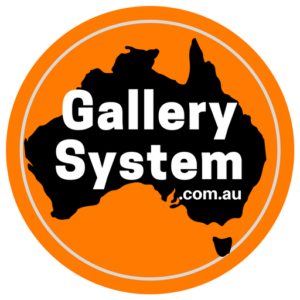 All of the Gallery Systems products are designed and assembled in Australia. We offer quality, time saving and affordable solutions for picture hanging and lighting your art. 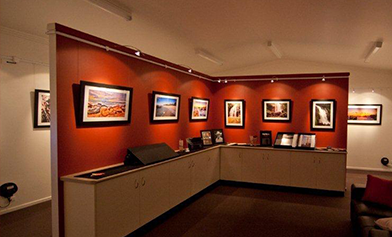 When it comes to displaying your artwork choosing the right lighting solution is crucial. At The Gallery System, we offer quality art lighting solutions that help you showcase your favourite pieces. Even in the most well lit rooms, the finer details in a piece can become lost. With art lighting that is specifically designed, every piece of work gets the attention it deserves. Because our lighting places the light directly on your artwork, it really brings it to life. Low voltage light wands lock onto the same track that hangs your art. A flat power cable fitted into the top section of the track carries 12 volt current along the track from a transformer. (Available as an add-on option with Standard Track only). The light wands simply lock onto the track at any point and light up so it’s really easy to move the light wands when you move your paintings or images.